Home/Ortho Blog/Ortho Tips & Tricks/What Is Orthodontics? The majority of people out there could probably tell you what an orthodontist does if you asked them. But there’s also a good chance that most of them wouldn’t be able to expand on the topic. 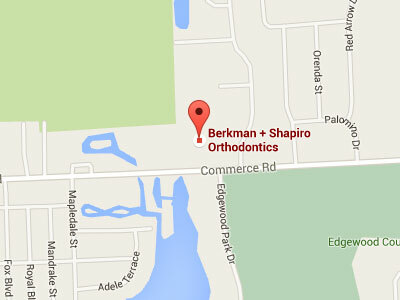 Here at Berkman & Shapiro Orthodontics, we want you to be well-informed on what we can do for you and your family. That is why we’ve developed the following guide that breaks down exactly what orthodontics is and all the ways it may benefit you! Orthodontics is the branch of dentistry that corrects teeth and jaws that are positioned improperly. The importance of orthodontic care and a knowledgeable orthodontist cannot be overstated. Orthodontists receive two or more years of education beyond their four years in dental school in an ADA-approved orthodontic training program. While orthodontics does address cosmetic issues, there are many issues that orthodontists treat that are essential to ensuring proper oral health for you and your family. Teeth that are crooked or not in the right place can detract from one’s appearance, but more importantly, crooked teeth and teeth that do not fit together correctly are harder to keep clean. This puts your teeth at risk of being lost early due to tooth decay and periodontal disease. The misalignment can also cause extra stress on the chewing muscles that can lead to headaches, TMJ syndrome, and neck, shoulder and back pain. An experienced orthodontist can decide whether orthodontic procedures should be recommended, and then develop a customized treatment plan that’s just right for you. 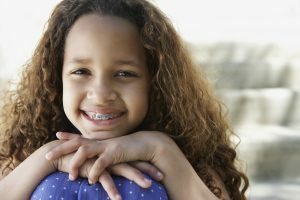 There are many different types of orthodontic appliances, both fixed and removable, that can be used to help move the teeth, retrain the muscles, and affect the growth of the jaws. These generally work by placing gentle pressure on the teeth and jaws. The severity of your problem will be the determining factor in which orthodontic approach is likely to be the most effective. Braces: by far the most common orthodontic appliance, braces consist of bands, wires, and brackets. Bands are fixed around the teeth and used as anchors, while brackets are most often bonded to the front of the tooth. Arch wires are then passed through the brackets and attached to the bands. Regular tightening of the arch wire puts tension on the teeth, gradually moving them to their proper position. Braces are usually adjusted monthly to bring about the desired results, which could take anywhere from a few months to a few years. Modern braces are smaller, lighter, and show far less metal than more outdated versions do. They can also come in bright colors for kids, as well as the clear styles like ceramic braces, which are preferred by many adults. Fixed space maintainers: if a baby tooth is lost prematurely, a customized space maintainer, or spacer, is used to keep the space open until the permanent tooth erupts. This prevents the remaining teeth from crowding the empty space. A band is attached to the tooth next to the empty space, and a wire is extended to the tooth on the other side of the space. Aligners: Clear aligners are the most popular alternative to traditional braces for teens and adults. These are used by an increasing number of orthodontists to move teeth in the same way that fixed appliances work, only without the hassle of metal wires and brackets. 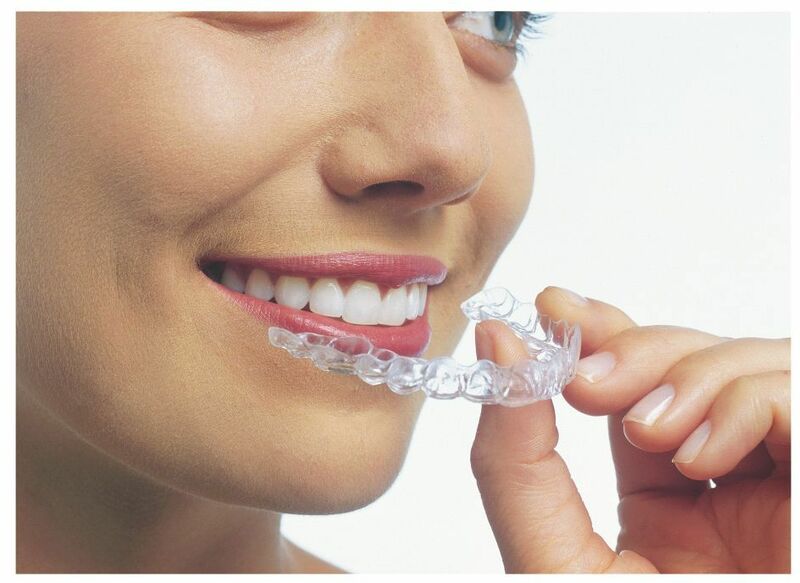 These aligners are virtually invisible and are easily removed for eating, brushing, and flossing. Removable space maintainers: these devices serve essentially the same function as fixed space maintainers, but are made with an acrylic base that fits over the jaw, and have plastic or wire branches between specific teeth to keep the space between them open. Jaw repositioning appliances: also called splints, these devices are worn on either the top or lower jaw, and help train the jaw to close in a more favorable position. Lip and cheek bumpers: these are designed to keep the lips or cheeks away from the teeth. Lip and cheek muscles can exert pressure on the teeth, and these bumpers help to relieve that pressure. Palatal expander: A plastic plate that fits over the roof of the mouth, this device is used to widen the arch of the upper jaw. Outward pressure applied to the plate by screws then force the joints in the bones of the palate to open lengthwise, widening the palatal area. Removable retainers: worn on the roof of the mouth after a course of orthodontic treatment has been completed, these devices prevent shifting of the teeth to their previous position. Headgear: with this device, a strap is placed around the back of the head and attached to a metal wire in front. Headgear slows the growth of the upper jaw, and holds the back teeth where they are while the front teeth are pulled back. 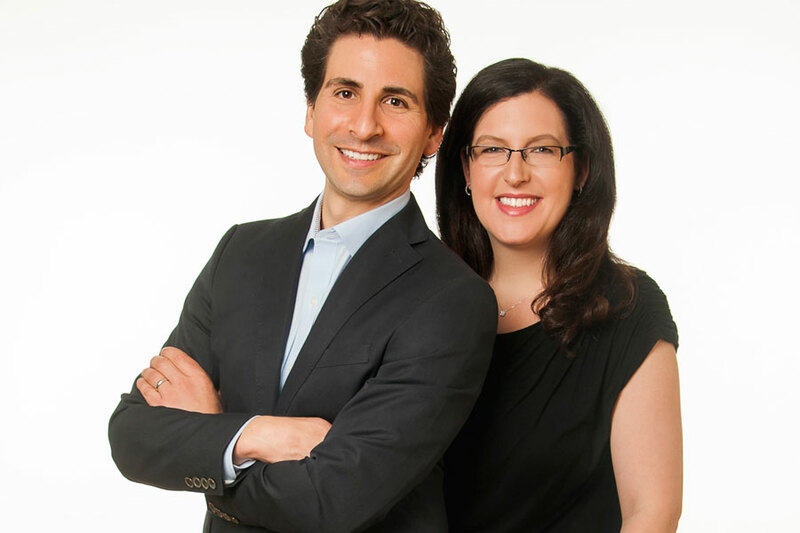 Berkman & Shapiro Orthodontics is here to help. At Berkman & Shapiro Orthodontics, we believe oral health is important for your sense of well-being and overall quality of life. A beautiful and healthy smile can do wonders for your self-esteem, which can make a positive impact on your mental health as well. When you invest in orthodontic care for you and your family, you are investing in more than just the cosmetic benefits; you are investing in your family’s future by providing proper oral health that can last a lifetime. Contact Berkman & Shapiro Orthodontics to schedule an evaluation to see if you or someone in your family would be a good candidate for orthodontic care. We look forward to hearing from you!